License key for Wondershare Dr.Fone full toolkit is available for free. The version on this giveaway is tool for Android. Normal price Wondershare Dr.Fone full toolkit is $79.95 for lifetime license. Available many copy of Wondershare Dr.Fone for Android license key on this offer. 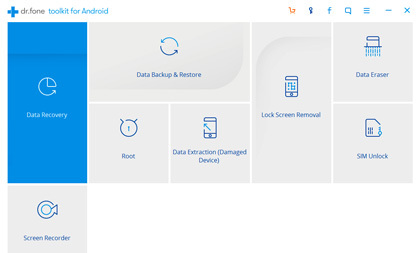 Wondershare Dr.Fone is a doctor data and the world’s 1st data recovery for smartphone. The software can restore lost data on iOS & android devices. The smartphone data recovery can restore SMS text message, contact, files, photo, and other types of data. Wondershare Dr.Fone is available for Mac and Windows but on this giveaway is available for Windows only. Although Wondershare Dr.Fone is available for iOS too, but the version on this offer is available for Android data recovery version only. Wondershare Dr.Fone for Android Giveaway page: Visit this page! The giveaway is dedicated for WebTrafficROI user. The links and tutorial on this page is just info. If you are interested to download the tool for free, visit the giveaway page above. Enter your valid email and name in the online form then submit. After submit the form, you’ll receive download link and genuine license key for Wondershare Dr.Fone for Android. Wondershare Dr.Fone is recommended tool to create backup, restore, and shred data. The version given on this offer is Wondershare Dr.Fone for android Windows version. For other version is available with discount on Wondershare Dr.Fone coupon code topic. Use the link offer to buy at cheapest price after giveaway expires. The Wondershare Dr.Fone coupon code can be use to buy is “FDSWON-CHEAP“. Use the coupon to buy the full license key the iOS or Android versions.